We have a well known reputation as the professional plumber and have had great success due to our return customers that keep using and coming back to Diamondback Plumbing. They know they can trust us due to having a solid reputation and a well known name in the plumbing industry serving Phoenix for over 20 years. Not all plumbing leaks are the same. Some just need easy and straight-forward fixes. You can solve these problems on your own. Others require the expertise of trained technicians. Pipe installation requires the services of professional specialists, particularly if the project in question is a big one. You need permits for pipe installation. A plumbing company knows the ins and outs of this procedure and will save you a lot of time and effort. Pipes that are improperly installed can cause some serious problems. This is especially true with pipes that contain gas. You minimize the risk to your home and family if you hire experienced technicians for this job. Installed pipes have to go through proper inspection. Enjoy the convenience of having your contractor act in your behalf during this step. A pipe can crack, burst, or get clogged any time of the day. There is no need to fret if the problem hits you in the middle of the night. Diamondback Plumbing is ready to provide assistance at all hours of the day. 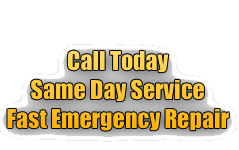 Give us a call and we will come to your assistance without delay. We have your best interest at heart. Even if your call comes after the usual work hours, at midnight, or on a week-end, we will attend to your needs without extra charge. Our pricing is always up front. We charge based on the type of work required and on actual hours spent completing the job. Not all contractors and plumbers go out of their way to get the necessary licenses, bonds, and insurance to protect their clients. What are the advantages you get when the company you hire has these necessary qualifications? First, if the technicians you hire are insured, you do not have anything to worry about when they get into an accident while working in your home or business. The insurance takes care of everything. The insurance will also cover damages in case anything you own is damaged in the course of the work. Second, hiring a bonded company gives you peace of mind. It assures you that in case the job order is abandoned, you get your money back. Third, hiring a licensed company guarantees that the company has a surety bond and insurance. Dripping Faucet – Do you find your faucet dripping even when you tightly close the knob? Do not ignore the problem if you do not want to get a larger-than-usual water bill. A dripping faucet may look like a simple problem, but all that wasted water will definitely add up and show in your water bill. Running Toilet – This is another seemingly simple problem that can put your water – and money, to waste. You may not notice your toilet tank running. However, you may be wasting about 750 litters or 200 gallons of water this way. Leaky Pipes – Leaky pipes are usually more noticeable during winter. However, they can occur during the drier months, too. Pay attention when you have notice wet spots in your home or business. 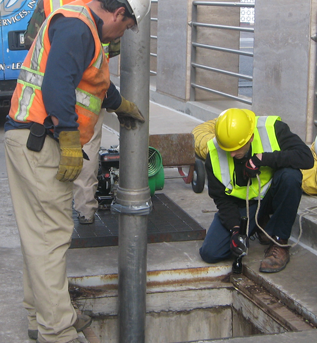 Check your pipe joints to see if everything is in order. Leaking Hose Bib -Hose bibs can crack when there are extreme changes in temperature. When spring or summer comes after a particularly harsh winter, check your hose bibs for leaks due to cracks. Low Water Pressure – Do you experience low water pressure? Check your pipes, bibs, showerheads, and other plumbing fixtures – especially if you live in an old house. Sump Pump Failure – Nonstop rain can undermine the efficiency of your sump pump. The pump can give out if it stays and operates under water without relief. Water Heater Problems – A water heater can stop functioning properly due to wear and tear. Have a plumber replace your water heater. Slow or Clogged Drains – Determine the cause of the clog. In some instances, you can clear the clog yourself. If you find it difficult to do so, get in touch with an expert plumber. Call Scottsdale Diamondback Plumbing for help. All the work completed by Diamondback Plumbing is per UPC/IRC Code. 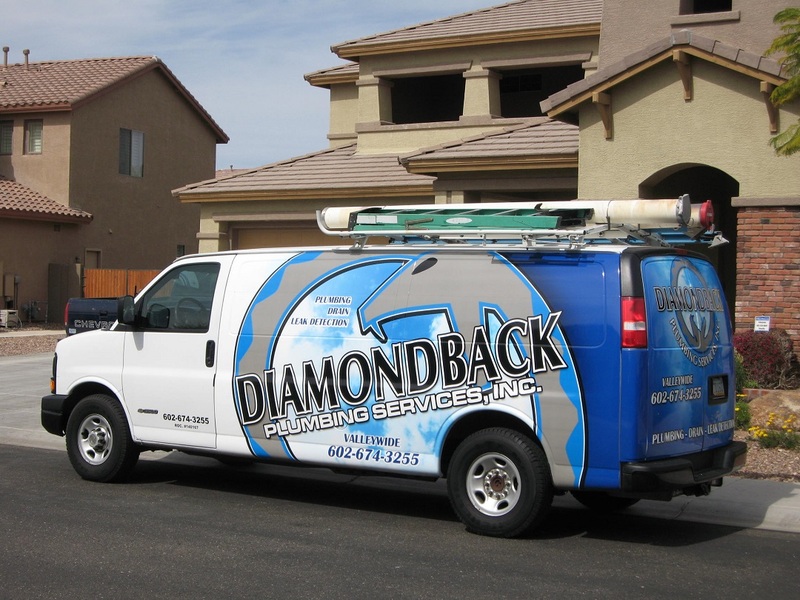 Get in touch with Diamondback Plumbing today and see why our plumbers are some of the best in Scottsdale.